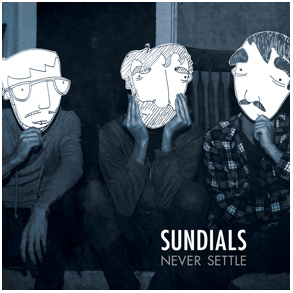 First full length from Richmond, VA's Sundials. "Never Settle" is 12 toe-tappin' tunes of witty and intelligent indie/pop/punk, with plenty of nods and winks for the bookworms out there. Comparisons can be made to 90s alt/rock greats like Buffalo Tom and Afghan Whigs or more modern groups like the Weakerthans, Cheap Girls, and Spraynard.